I have not personally had a chance to go through this book, but it is held in high regard by some great musicians as well as the review posted in the forums here. 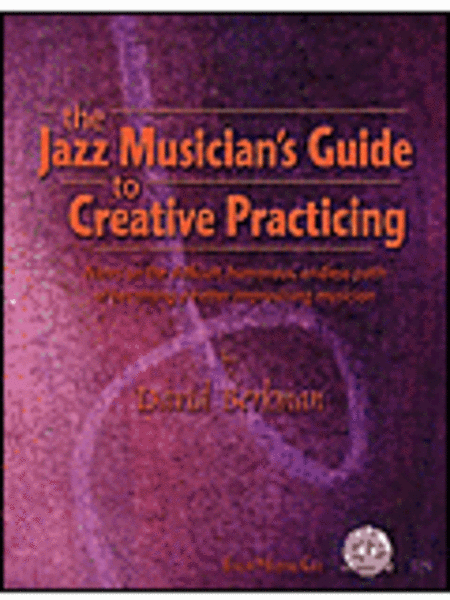 Finally someone has written a book on what jazz musicians need most - a way to approach practicing that actually makes the best use of your valuable time!In this landmark book, cutting-edge NY pianist and recording artist David Berkman shows you how to make practicing interesting and enjoyable by breaking problems into manageable tasks that you can easily master!Filled with hundreds and hundreds of concrete things to work on, along with funny jazz anecdotes illustrating the ideas presented, The Jazz Musician's Guide To Creative Practicing covers many of the things you need in order to be a complete jazz musician, including: Basic jazz theory, clearly explained; How to make scale and arpeggio practicing fun and relevant to playing tunes; How to effectively add chromatic approach notes and upper structure triads to your solo lines; How to practice tunes like "Body And Soul", "Giant Steps" or rhythm changes and get better at the whole tune by mastering individual aspects of it; How to improve your ability to swing, to play in odd meters and to play with different rhythmic feels; How to play fast without losing your ability to make the notes sing. A review contributed by a LJP user, "goose"
In each section of the book he uses classic material as a jumping off point (blues in Bb, Body and Soul, Giant Steps, Rhythm Changes). The idea is that while other 'licks' books might 'give you fish' (as the old adage goes), he 'teaches you to fish' with one of these tunes, so you can apply the concepts to any other tune. His is also the first book I've seen to address the kind of multi-line playing favored by Brad Mehldau. He also has a nice light writing style and isn't afraid to recount his own past failures on the way to getting it together. The only issue I have with the book is the rather embarrassing number of errors. The early sections especially seem to contain a mistake on each page (typo, wrong info, or wrong layout). You can work out how most of the mistakes should actually read but it takes you out of the enjoyment of it somewhat. Mr Berkman must be pretty disappointed with that himself. In one example, a new musical example has been pasted in by hand over the printed one. And it's STILL wrong! Let's hope they get them fixed for the next edition. This book complements any other you may have. It's about HOW to practice as much as WHAT. It's nice to hear him and players like Joel Frahm playing practice excerpts on the included CD, too. And it's always nice when a 'name' player produces a book like this. In short, if you feel overwhelmed by all the possible things you could be working on (or alternatively are bored and can't think of good ways of tackling material), buy this book.